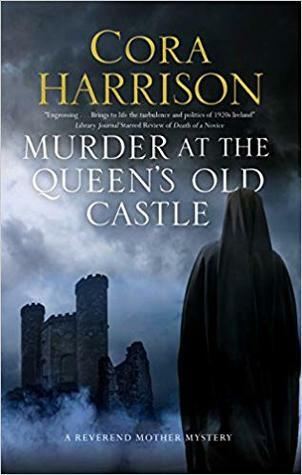 MURDER AT THE QUEEN’S OLD CASTLE by CORA HARRISON – Books, Books and More Books! A rare shopping trip for the Reverend Mother ends in brutal murder in this absorbing historical mystery. While the castle is no longer a castle, it is still in use. As a very low-end department store in Cork. The goods are shabby at best and the place itself is in deplorable condition. It is not a place we would normally find our good Reverend Mother. And yet due to a recent flood she is offered whatever she would like from the damaged goods. With money always in short supply she ventures out to the old place. In all these years she has had no reason to go there and very little has changed since she has been there. With an apprentice who was a former student carrying her basket she sets about finding what she can for the girls at school and the other nuns. At about the same time she smells gas, the owner comes out of his office and falls to his death at her feet. Putting her right in the thick of what looks like murder. All of our favorite characters are here. Eileen, Patrick and the good Doctor, who is acting rather odd and solicitous to the man’s wife. Mr. Fitzwilliams was not a popular man, even within his own family, but could someone have finally had enough of him? I enjoyed this one. I have enjoyed them all. The Reverend Mother is a wonderful character and this series keeps getting better. I love the series. Reverend Mother is a hoot!